LONDON (Reuters) – Prime Minister Theresa May will call on Britain’s health service, charities and artificial intelligence sector to work together to better identify patients with the early stages of cancer and stop thousands dying each year. May, who is struggling to unite her top ministers over plans to leave the European Union, wants to broaden her agenda to try to show she is more than a leader just overseeing Brexit talks, which have all but stalled over customs arrangements. 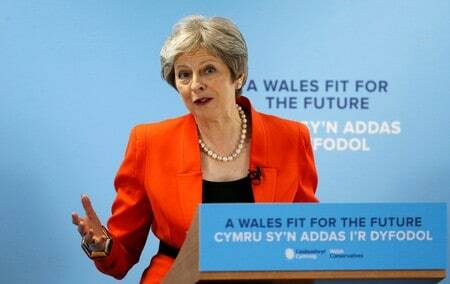 In a speech in northern England on Monday, May will unveil plans which she says should see at least 50,000 people each year diagnosed at an early stage of prostate, ovarian, lung or bowel cancer – people who would have otherwise been diagnosed at a later and more deadly stage. “Late diagnosis of otherwise treatable illnesses is one of the biggest causes of avoidable deaths,” she will say, according to excerpts of her speech. Using the data on people’s genetics, habits and medical records, doctors would then be able to make referrals to an oncologist earlier, she will say. She will also say that the health innovation is part of her government’s industrial strategy, part of measures to make sure that Britain is at the forefront of the development of new technology as it leaves the EU. Harpel Kumar, chief executive of Cancer Research said Britain “must remain an attractive place for the life sciences industry to invest”, something that some fear is under threat because of Brexit.